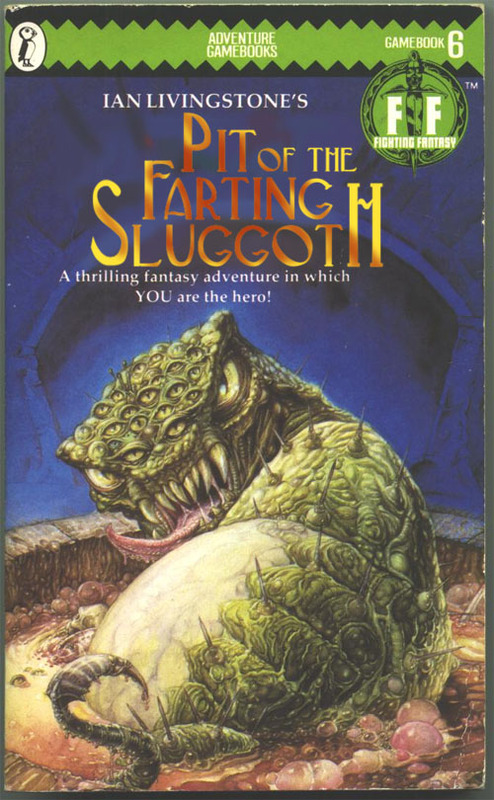 Lloyd of Gamebooks: Your adventure ends here - make sure you learn something from it. Your adventure ends here - make sure you learn something from it. Here's an ending from Deathtrap Dungeon by Ian Livingstone. 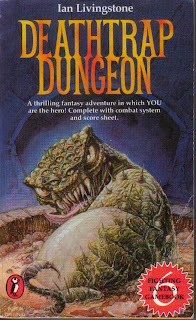 An old cover, showing the bloodbeast. An alternative title. You can find more of these here. It refers to you having another life. Is that a nod to the reader, implying that each attempt is a different life that they lead? 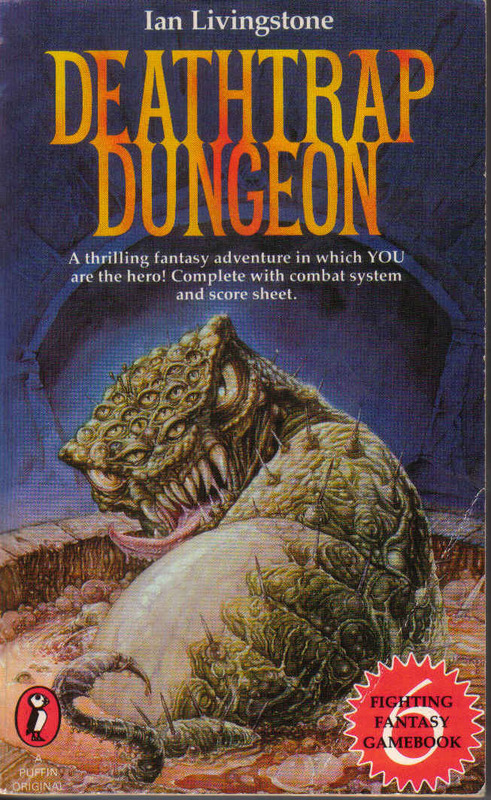 Or is every separate reading of a gamebook like another dimension? That is an interesting concept to follow. The most informative thing about this paragraph is how you get here. The gnome asks you if you have certain gemstones and you end up here if you don't. So you may lose, but in a future reading, you will know which gemstones to look for. This should make things easier. I got all the way through the dungeon to come to a huge door guarded by a small gnome. The door has three sockets in it which only take three types of gems. You need to get the correct gems in the correct order. What have I learnt from this? Just because you die, it does not mean that the paragraph is useless. You can glean some information on what to do next time. All death paragraphs give you some information, which is 'Don't choose this paragraph again.' However, as in this case, you can get more information on what you can do.